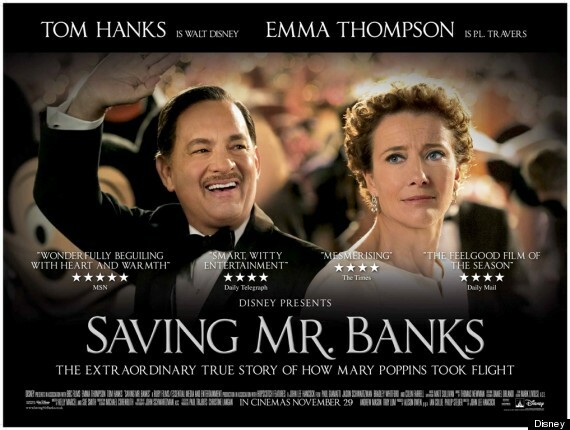 My friends told me that Saving Mr. Banks is about Walt Disney, however, I found myself intrigued with Mrs. Travers the author of Mary Poppins instead. I know, I know, for shame– You’re a Disney fan! I just couldn’t help but want the film to go back to the scenes regarding her childhood life to figure out why she was so bitter and cynical to Disney and the employees. 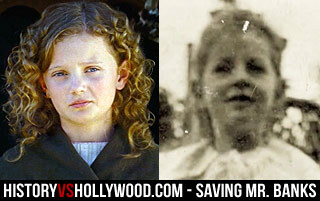 If you watched the movie– you probably had some questions like I did, I stumbled upon an amazing site, http://www.historyvshollywood.com/reelfaces/saving-mr-banks.php, that put together these questions and answers really well. I have copied and pasted their article below for your convenience– but definitely check their site out for more info. Did Walt Disney really promise his children he’d turn P.L. Travers book Mary Poppins into a movie? Yes. 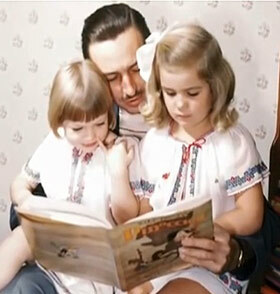 Our research into the Saving Mr. Banks true story confirmed that Walt Disney indeed promised his daughters (pictured right) that he’d turn their favorite book, Mary Poppins, into a movie. He had no idea that it would take twenty years to do it. Yes. In the movie, P.L. Travers (Emma Thompson) wonders aloud as to how Mr. Disney plans to train penguins to dance for the screen version of Mary Poppins. Upon learning that the penguins featured in the live-action film will be incorporated using animation, she sternly objects, “No animation.” The real P.L. 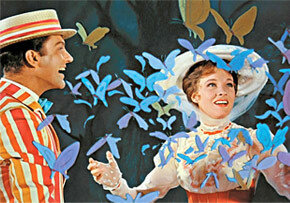 Travers was indeed against the use of animation in Mary Poppins. Upset that the character of Mary in the movie’s script was too pretty and lacked the harsher aspects of her character from the book, she was equally appalled at the animated scenes, which she considered Disney fluff that detracted from the more serious tone of her story. 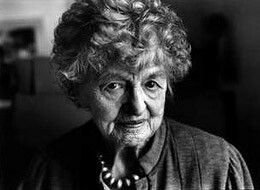 Using her first and middle initials as a writer was not uncommon at the time in Britain, especially for women who wanted their work to be appreciated from a gender-neutral standpoint. Harry Potter author J.K. Rowling (Joanne Kathleen Rowling), an admirer of Travers, carried on her tradition by doing the same thing. However, it should be noted that Rowling was not given a middle name at birth. The ‘K’ comes from her grandmother’s name ‘Kathleen’ and was suggested by the publisher out of fear that potential readers would be less receptive to a wizarding story penned by a woman. Was P.L. Travers’s father really an alcoholic bank employee? Did P.L. Travers’s mother really contemplate suicide after Travers’s father’s death? Yes. Following the death of P.L. Travers’s father from influenza when she was seven, her mother, stricken with grief, informed her that she was going to drown herself in a nearby lake, telling her daughter to look after her two younger sisters, Moya and Biddy. Margaret Goff’s suicide attempt was unsuccessful and she returned home, but the event left a permanent scar on young P.L. (then known as Lyndon). Was Mary Poppins really based on P.L. Travers’s great aunt? 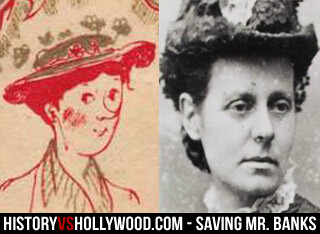 Mary Poppins (left), as seen on the book’s original cover, was partially inspired by Travers’s Great Aunt Ellie. Yes. As author Valerie Lawson indicates in her book Mary Poppins, She Wrote, the real P.L. Travers fruitlessly tried to protect her creation from being corrupted by the influences of Walt Disney and pop culture. Lawson explains that the Mary Poppins character in Travers’s books “was tart and sharp, rude, plain and vain.” She demonstrates characteristics that are more similar to P.L. Travers than to Julie Andrews. Was “Let’s Go Fly a Kite” the song that won over Poppins author P.L. Travers? In the movie, Pamela Travers (Emma Thompson) makes a snide remark after learning that Robert Sherman (B.J. Novak) had been shot in the leg. “It’s hardly surprising,” she says. According to the real Robert Sherman’s obituary, his limp was the result of being shot in the knee while charging a hill during World War II, for which he was awarded a Purple Heart. At only nineteen years of age, he had also taken part in the liberation of the Dachau concentration camp. Did Travers continue insisting that the animated sequences be cut, even at the film’s premiere? Yes. 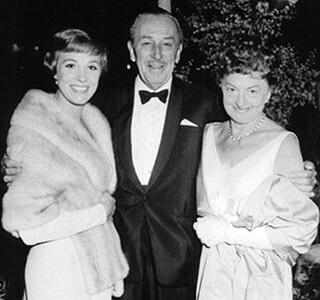 After seeing the film on the night of the premiere, a distraught Travers went up to Walt Disney and demanded that the animation be cut from the film. “Pamela, that ship has sailed,” Disney replied before walking away. Pamela Travers’s feud with Walt Disney would continue up to and beyond her death, prohibiting Disney from adapting any more of her books and vigorously protecting the stage rights to Mary Poppins (she would eventually turn the rights over to British theater producer Cameron Mackintosh in 1993). I heard that Travers’s publisher was the son of Peter Pan author J.M. Barrie? This is true. P.L. Travers’s connection to Peter Pan author J.M. Barrie wasn’t only reflected in the similarities between Mary Poppins and Barrie’s high-flying Pan. Travers’s publisher was Peter Davies, the adopted son of J.M. 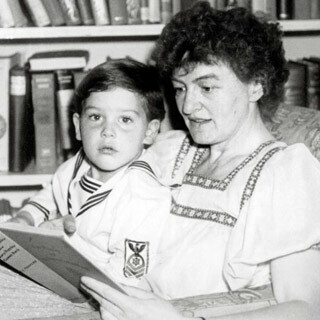 Barrie and the inspiration for Peter Pan (Davies later committed suicide partially as the result of his lifelong association with the Pan character). WONDERFUL WORK HISTORY VS HOLLYWOOD IN COMPILING OUR QUESTIONS AND ANSWERS TOGETHER! THANKS. “Why” You might ask? For me, Emma Thompson (actor playing P.L. Travers) did a phenomenal job in recreating a prude woman, her actions and comments were funny when it comes to being anti-Disney. When she walks in her hotel room she sees all these Disney gifts and tons of Mickey, Goofy, and Pluto plushy, for Disney fans that’s heaven– but we do have friends who think, “my goodness! Your Disney addiction is overwhelming” and that is the exact attitude Emma Thompson knows how to portray with her character. This entry was posted in Entertainment, Fun Facts, General, Walt Disney and tagged disney, elias, emma, emma thompson, film, mary poppins, mickey mouse, movie, poppins, saving, saving mr. banks, thompson, tom, tom hanks, travers, Walter by My Disney Cloud. Bookmark the permalink. Can’t wait for the DVD to come out since I didn’t get a chance to see it in the move theater.